Ronnie spoke to Transamerica clients at their annual investment conference in Chicago, Illinois. Ronnie shared great stories about working together for success with some of the greatest players (Jerry Rice, Joe Montana, Roger Craig and others) as well as being coached by the legendary Bill Walsh. His own business experience and sports success were a powerful combination for an inspiring motivational speech and show and tell as he passed around his four Super Bowl Champion rings. Direct Sportslink has secured Ronnie Lott for numerous appearances, aurtograph signings, and motivational speaking engagements including events for corporate clients NetApp and Cisco Systems. Thank you so much - the speech went great and Ronnie Lott is the nicest and most interesting star I have ever met. Good job! Thanks too for the footballs. You guys were great. A Ronnie Lott personal appearance, Ronnie Lott speaking engagement, or Ronnie Lott endorsement will reflect well on your company. To hire Ronnie Lott now for any corporate appearance, fundraiser, motivational speaker event, personal appearance, autograph signing, or website endorsement please contact our celebrity agents at 1-877-6-SPORTS. We will contact Ronnie Lott or contact Ronnie Lott's agent and provide you with the booking fees and availability immediately upon your request. Direct Sportslink is the only sports speakers bureau and talent booking agency based in the United States securing only sports talent for corporations, associations, and organizations for motivational speaking engagements, personal appearances, and endorsements. We are the premier sports celebrity booking agency and a sports celebrity procurement expert. Accordingly, we will provide you with any relevant Ronnie Lott website information and booking agent details so that you can hire Ronnie Lott for your next event. Ronnie Lott played safety at USC (1977-1980). He helped the team to a share of the 1978 national championship and played in the 1979 and 1980 Rose Bowls. Lott was a unanimous All-American and team captain in 1980. 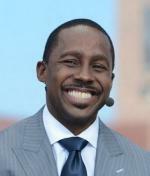 He was inducted in 2002 as one of 15 new members (I-A class) of the College Football Hall of Fame, and was also a 1995 inductee to the USC Athletic Hall of Fame. 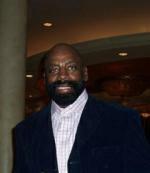 After college, Lott was drafted by the San Francisco 49ers in the 1st round (8th overall pick) of the 1981 NFL draft. In his first season, he recorded 7 interceptions, helped the 49ers to win Super Bowl XVI, and also became only the second rookie in NFL history to return three interceptions for touchdowns. In his 10 years with the 49ers, he helped them to win 8 division titles and 4 Super Bowls: XVI (1981 season), XIX (1984), XXIII (1988), and XXIV (1989). He played his last four seasons with the Raiders, in his 14 seasons, Lott recorded 8.5 sacks and 63 interceptions, which he returned for 730 yards and 5 touchdowns. He also recovered 17 fumbles, returned them for 43 yards, and gained 113 yards on kickoff returns. Ronnie is one of the best business speakers for any group looking to hear about accountability, working with pride, trust, and what it takes to be a champion. A successful businessman in his own right, Ronnie was coached by one of the greatest coaches in all of sports and is someone who played with numerous Hall of Famers. He knows what it takes to lead any team. 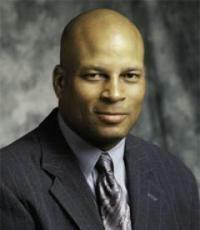 Please make sure to review the Ronnie Lott corporate speaking engagement with Transamerica above. Based on your interest in Ronnie Lott as a speaker or for a personal appearance, Direct Sportslink has provided you additional links below for other sports talent with similar appearance fees, speaker topics, and categories that match Ronnie Lott.